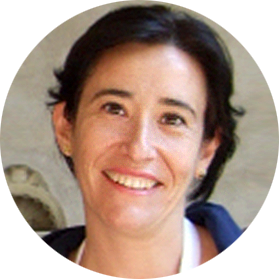 Victoria Ateca-Amestoy is Associate Professor in the Department of Economic Analysis II in the University of the Basque Country (UPV/EHU). She has worked in the design and management of cultural projects and her research interests are cultural economics, behavioral economics and social indicators. She has been mostly interested in the determinants of cultural participation but she is now moving to investigate the impact of cultural participation on individual well-being. She knows that MAPSI will offer the opportunity to assess more interesting methods than traditional economic impact measures derived from cultural projects and is happy to interact with other colleagues and with international students. She has published papers in Economics Bulletin, The Journal of Socio Economics, Journal of Cultural Economics, Social Indicators Research, European Journal of Operational Research, Estudios de Economía Aplicada, Cuadernos Económicos del ICE, European Journal of Operation Research and Journal of Happiness Studies. She has coordinated international and national research projects on the determinants of cultural participation and on cultural statistics. She is a member of the executive board of the Association for Cultural Economics International and of the Asociación Española de Gestores de Patrimonio Cultural. She serves as book editor for the Journal of Cultural Economics.